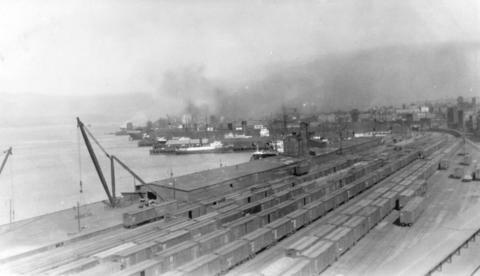 Photograph shows the CPR waterfront rail yard. View is looking east from the third CPR station. Image includes railcars, 50 ton derrick, freight shed, and commerical warehouses in the distance.